san diego: dialed in: Wonderfront Is Coming To The Port of San Diego!! 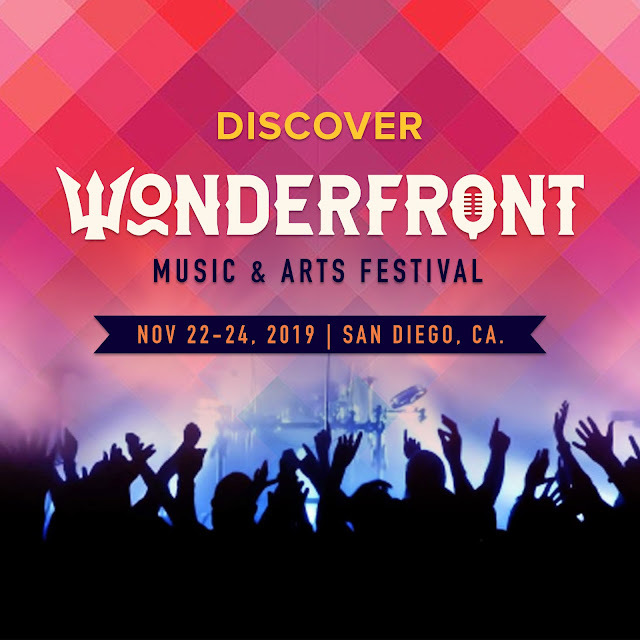 Tuesday, March 19, 2019 — San Diego, CA — Descending upon the stunning waterfront of downtown San Diego – “where the city meets the sea” – on November 22, 23, and 24, 2019 is THE WONDERFRONT FESTIVAL, the highly-anticipated 7+ stage, 70+ band, 3-day music, culinary, and arts festival. The brainchild of seasoned industry veterans, Paul Thornton of Tag Presents, and Ernie Hahn current GM and partner at Pechanga Arena, this event has been 8 years in the making and no stone has gone unturned in its launch. The two have more than 50 years combined experience producing events in the live entertainment industry, with deep roots and relationships in the San Diego market. “It’s massive. When you’re booking 70 plus bands across 7 or more stages, in addition to all the after parties we’ll be doing downtown, and the element of being on the water, with a water taxi system moving people around with performers and bars on the water, and also yacht parties. It’s so much more than just music and that’s what’s going to make the experience so unique. We will have amazing food and drinks, games and activities, waterfront dining, art installations, street performers and theater groups. There’s a lot of work to this but the experience is going to be unparalleled,” according to Paul Thornton who has been actively booking top tier and emerging talent for the event. “Music, art, food and fun connects and inspires us all. The Port of San Diego welcomes the Wonderfront Festival to our dynamic San Diego Bay waterfront, where there’s always something different to discover, experience and enjoy,” says Port of San Diego Chairman Garry Bonelli.